AND CENTURIES BEFORE HE CAME. Even if you do not believe on Jesus as your Savior, it is very likely you have heard of Jesus being crucified on the cross. Did you know the amount of prophecy’s that foretold about JUST the crucifixion alone? 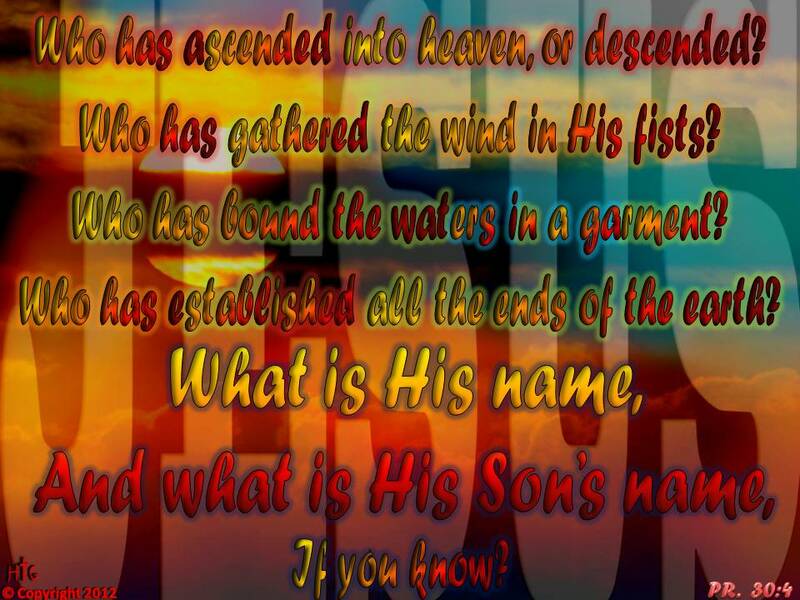 Did you know there are over 300 prophecies Jesus would fulfill 100% in His coming? Do you know He is coming again? 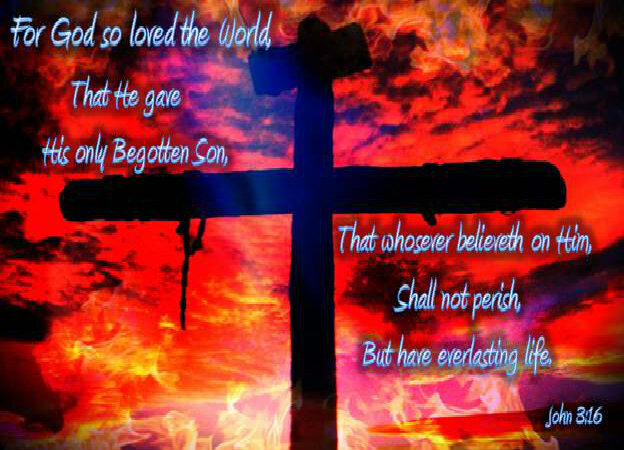 I want to share about His crucifixion, and how He loved you so much, that Jesus died for you, once for all sins. EVEN THE FACT THAT JESUS WOULD BE A STUMBLING BLOCK TO THE JEWS AND FOOLISHNESS TO THE GREEK PHILOSOPHERS WAS PROPHESIED CENTURIES IN ADVANCE. Did you know there are more prophecy’s that foretell of His next coming? We expect them to be 100% accurately fulfilled as well. God calls you by His Gospel, He has drawn you to Him when He lifted up Jesus on the cross, Just as Moses lifted up the brass serpent on the pole in the wilderness to save all who would look upon Him (believe). Will you be satisfied in your unbelief? Do you know you will die in that same unbelief if you do not come to Him (Jesus)? And after we die, it is then the judgment (Heb 9:27)? And that death is eternal separation from God in a place called hell. No turning back, no second chances. Will you consider looking into the prophecies rather than say you don’t believe? You may say, the Bible is a fallible book written by men. Really? Let’s look into your claim. I’d respond that you’d have to have an awful lot of faith in men to be able to guess with such perfect accuracy — Does that really make sense to you? Name another so called prophet in this world who has been 100% accurate. Name just one. Have you been one of the ones interested in in the Mayan prophecies or Nostradamus, etc? Why are you not compelled to check out the Biblical prophecies that have come true? Let’s examine just some of the many prophecies of the crucifixion of Jesus. Jesus took the curse of the penalty of death for us in great love. They did not leave Him on the cross, but took Him down to bury him that day. He would be killed but not for Himself. How and what time He would be sacrificed (Passover). His betrayal and how much money He would be betrayed for. We are told where that thirty pieces of silver would end up, and also what would happen to His betrayer Judas. Prophecies tell of the cruel and false witnesses who would testify against Him. 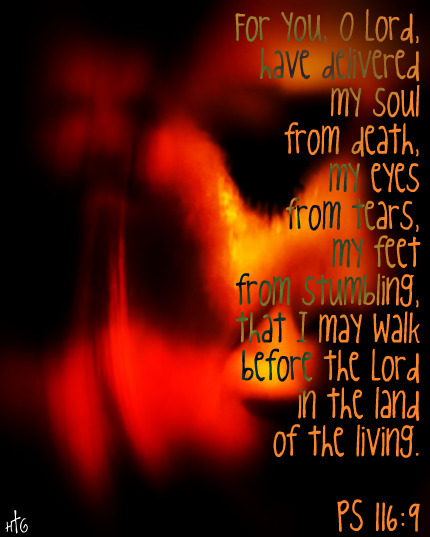 That even in the oppression and affliction, He wouldn’t defend Himself. And that God’s wrath would be satisfied with His Son’s perfect sacrifice for our transgressions. The only way our sins will be taken away. The Bible also testifies in advance of the shame He would have to endure. He was despised, mocked, stripped naked, scourged, spat upon. These accusers even pulled out of the hair on His face. The mutilation He suffered, the battering, this horrific disfigurement to the point of not even looking human or being recognizable. That His hands and His feet would be pierced, (again prophesied before this method was even known). Yet contrary to the way of Roman crucifixion, no bones were broken. Because Passover Lambs were to have no bones broken (Exodus 12:46). And since JESUS was our Passover Lamb, there was yet another prophecy fulfilled when they decided He was dead and they did not need to break His legs. Being the final Passover Lamb, was prophesied and fulfilled in Christ: (Isaiah 53, Ps 34:19-20; John 19:31-36). 1 Pet 17-20 describes Jesus as a Lamb without blemish or spot, the Lamb of God which takes away the sins of the world (John 1:29). For the death that He died, He died to sin once for all. All the reproaches, shame and dishonor He suffered wrongly were prophesied. Prophecies foretold He would be accused of being a robber and criminal. That He would be hung and numbered with, and among them. That reproach and sorrow would break His heart. He was a Man of sorrows, and acquainted with all of our grief. He is the Living Water that He told the prostitute at the well, that if she drank, she would never thirst again. 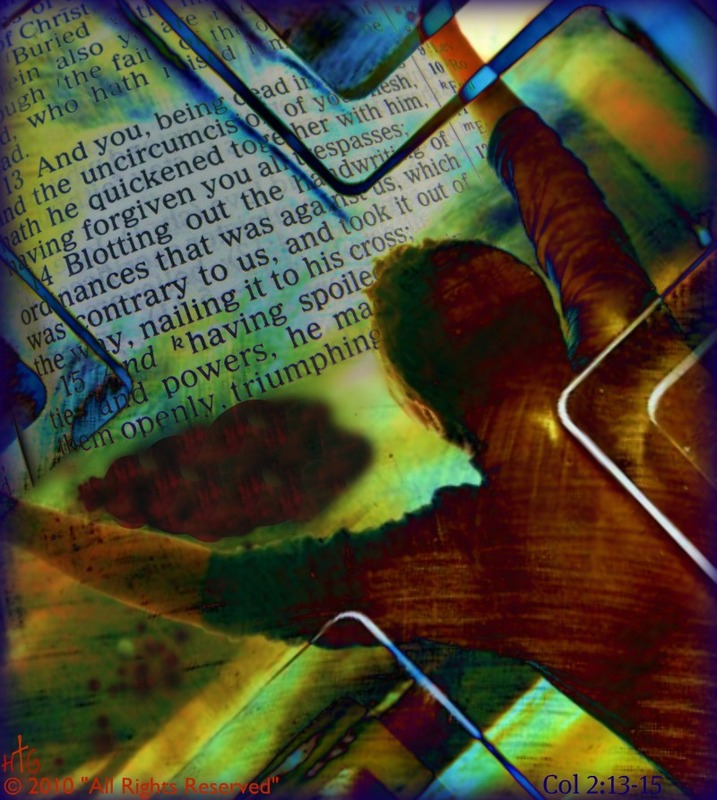 More prophecies tell us that many would watch as He was crucified in our place, that they would mock and gloat. His family and friends would be watching and standing at a distance. It was also foretold that they would divide His garments and even cast lots for His robe (or His vesture as some translations call it). That they would give Him Vinegar to drink at the end. That He would be pierced through with a spear. And at the end, when He died, He would commit His spirit to God. “My God, My God why have you forsaken me, and why are You so far from helping me and the words of my groaning?” (Ps 22:1 – see also Matt 27:26). But this is a very important part to hear. Isaiah prophesied that Jesus would make intercession for us (sinners) to the Father, and how beautiful and poignant to reflect on this fact. His intercession began at the crucifixion and continues to this day. JESUS the ONE and ONLY mediator. And it was the preparation of the Passover, and about the sixth hour: And he saith unto the Jews, Behold your King! But they cried out, Away with him, away with him, crucify Him. Pilate saith unto them, Shall I crucify your King? The chief priests answered, We have no king but Caesar. Then delivered he him therefore unto them to be crucified. And they took Jesus, and led Him away. And he bearing his cross went forth into a place called the place of a skull, which is called in the Hebrew Golgotha: Where they crucified him, and two other with , on either side one, and Jesus in the midst. And Pilate wrote a title, and put it on the cross. And the writing was Jesus Of Nazareth The King Of The Jews. This title then read many of the Jews: for the place where Jesus was crucified was nigh to the city: and it was written in Hebrew, and Greek, and Latin. Then said the chief priests of the Jews to Pilate, Write not, The King of the Jews; but that he said, I am King of the Jews. This is only the prophecies of the crucifixion itself. There are hundreds more prophecies that Jesus Christ fulfilled perfectly. I hope you will consider looking into it. Please go here for reasons why you should consider the Bible, and seek God while He might be found. Time is short. PLEASE SEE NORTHLAND BIBLE CHURCH FOR MORE MESSIANIC PROPHECIES. To explain the components of the gospel, I would suggest you go to 1 Corinthians 15:3-4 first, and explain first who the Christ is. That He was prophesied of (as it says in 1 Cor 15). Depending on their interest would be how much I might go into detail. But that God made us without sin, perfect, and that He gave us only one thing we could not do, could not have — and man sinned and did what he wanted. God told Adam in advance, if he did this he would die. This meant spiritual death. Man sinned, man had to die. From the first sin in the garden, God made a promise to send a Messiah (Gen 3:15), and Jesus the Messiah would crush the enemy, have victory over death. The wages or penalty or payment for our sin is death, BUT, the gift of God is eternal life through Jesus Christ our Lord. For God so loved the world (God’s part) That He gave His only begotten Son (God’s part) That whosoever believeth on Him (Our part) Should not perish (God’s part) But have ever lasting life (God’s part) – Jn 3:16 How was that accomplished? Jesus died for our sin on the cross (as was prophesied) He was buried and rose again in 3 days (as the Scriptures prophesied). Jesus prophesied in John 2, that they would destroy the temple of His body, and that HE would raise it up again in 3 days. He also prophesied in John 10, that no one would take His life, but He would give it willingly AND that He had the POWER to take up His life again (proving He is God). What must one do? Believe who the Lord Jesus is (the Christ) and that He died in order to save you (Jesus – means Jehovah or God is salvation). Lord (kyrios in Greek – means God, the Messiah). Jesus came as God in the flesh, fully God, fully man to give Himself in great love for you. All you have to do is believe that what He has done, has satisfied God, made peace with the Father. Christ gives you the free gift of eternal life when you believe. He gives you the gift of righteousness (Christ is your righteousness – Rom 5, and Rom 10:4) and because of Christ resurrection from the dead, we too will be raised again unto eternal life, because when we believe, He also gives us the gift of the Holy Spirit (Acts 2 & Acts 10), by which ALL believers are placed into the body of Christ (Rom 8:9, Eph 4:4-6; 1 Cor 12:13) and we are sealed UNTIL the day of redemption as a PROMISE from God Himself (Eph 1:13-14). And this inheritance is undefiled, waiting in heaven for us, and WE (believers) are KEPT by God until that day (1 Peter 1:3-5), presented faultless because HE is able (Jude 24-25). 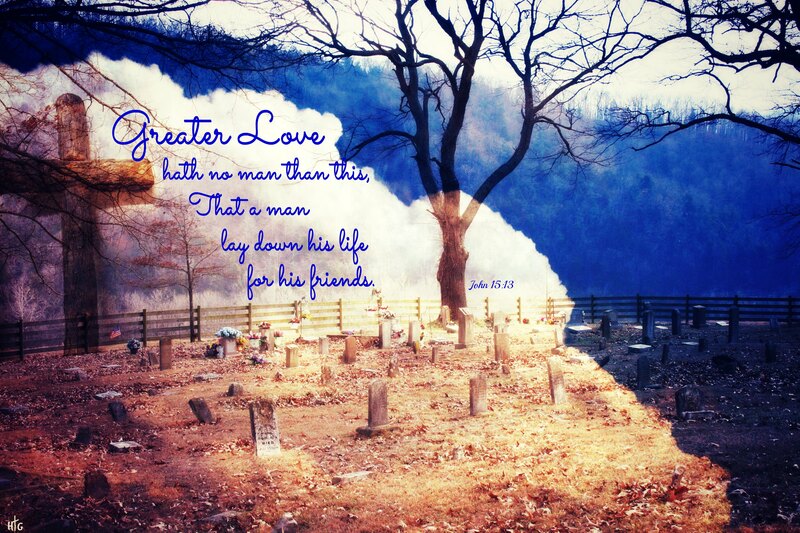 Because He lives, I can face tomorrow…. Because He lives, all fear is gone…. Draw near unto God, and He will draw near unto you.